The New York state legislature voted last night to lower New York City’s default speed limit from 30 to 25 mph. The bill now heads to Governor Andrew Cuomo, who is expected to sign it. While the votes last night were overwhelming and bipartisan — 106-13 in the Assembly, followed nearly two hours later by a 58-2 vote in the Senate — the legislation almost didn’t make it through the tumult of Albany politics. After last-minute action by Senate Co-Leader Jeff Klein on Monday, the bill was almost derailed by Republican Dean Skelos, Klein’s fellow co-leader. Mayor Bill de Blasio had made the bill one of his major requests of Albany this session while also simultaneously vowing to engineer a Democratic takeover of Senate leadership. Skelos, not inclined to do the mayor any favors, threatened to keep the bill from a floor vote. While Skelos ultimately relented, an eleventh-hour disagreement over when to vote on an unrelated piece of legislation almost delayed Senate action on 25 mph before the vote finally happened shortly after midnight. The bill takes effect 90 days after the governor signs it. In the end, its success was possible because of the tireless work of families of traffic violence victims, livable streets advocates, and officials in both Albany and City Hall. It lowers the citywide default speed limit to from 30 to 25 mph. This is a change de Blasio asked for in the city’s Vision Zero report, issued in February. Advocates and traffic violence victims’ families had been pushing bills for a 20 mph default but, backed by the City Council, decided to get behind 25 mph last month in an effort to create a united front with the administration and pass a bill during this session. Expressways and parkways are unaffected by the bill, and the relatively small number of state-managed surface roads in NYC, such as Ocean Parkway, would also be exempt from the new 25 mph limit. Speed cameras will now issue tickets at 35 mph, not 40. In April, the legislature passed bills to expand the number of school speed cameras from 20 to 140, but they can only issue a ticket if a driver is going at least 10 mph over the posted limit. By dropping this threshold from 40 to 35 mph, the bill will make it much easier for the city to crack down on deadly driving speeds. It does not make it any easier for the city to designate 20 mph zones. Under current law, in most cases the city must install traffic calming like speed humps if it wants to sign a street for 20 mph. As a result, 20 mph streets are restricted to areas selected for neighborhood Slow Zones, which cost up to $200,000 each. Bills from Senator Martin Malave Dilan and Assembly Member Daniel O’Donnell, which picked up key support in the Assembly from Speaker Sheldon Silver, would have allowed 20 mph streets without expensive traffic calming. But Klein’s plan, which passed both chambers last night, keeps the status quo for 20 mph zones. It requires notification of community boards for speed limit changes of more than 5 mph. 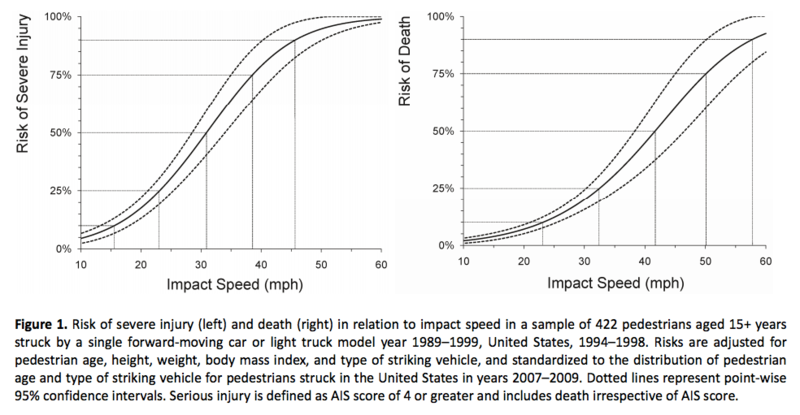 Last week, Klein suggested community boards should have veto power over changes to the current 30 mph speed limit on arterial roads, the city’s most dangerous streets. The community board language Klein ended up putting into his bill is much less onerous, and would apply only when the city lowers the limit by more than 5 mph. Sections of Northern Boulevard, for example, are currently signed at 35 mph; if the city wanted to bring that street in line with the new 25 mph default, it would need to notify the local community board at least 60 days in advance. Many people deserve credit for helping pass this bill, especially Families for Safe Streets and Transportation Alternatives, who pushed for a lower speed limit to happen this year and went to Albany repeatedly to ask legislators to back the bill. Senator Martin Malave Dilan and Assembly Member Daniel O’Donnell were pioneers as sponsors of the original 20 mph legislation, and Senator Jeff Klein later took up the issue to see it through the Senate. Without leadership from the city, especially from City Council Transportation Committee Chair Ydanis Rodriguez and Mayor de Blasio, the request might not have become a priority in Albany in the first place. By dropping this threshold from 40 to 35 mph, the bill will make it much easier for the city to crack down on deadly driving speeds. Why not drop it to 30mph or 27mph? Why allow for 10mph over the speed LIMIT? Seriously. In DC, if you drive 1mph over the speed limit, you get a ticket. As a result, speeding in DC is pretty rare, and it’s still going down. A 10% (3mph) leeway makes sense. 10mph does not. In Canada 10km/hr is a normal leeway. That’s 6mph and there’s no legit complaint. At lower speeds all those discrepancies are a lot smaller than they are at higher speeds anyway. I think that’s essentially BS. Great win! You did it you guys! Thank you T.A., Families, Streets PAC and Mayor de Blasio for championing this important bill. It is really, really hard to get good, strong legislation through Albany, and this bill a terrific accomplishment. Absolutely advocates would have wanted more, but they got what they could from a place where more often than not, good ideas go to die. This is a great step! Does this bill require community board approval for arterial speed reductions? No. It does however require sending a notice to community boards 60 days before the DOT lowers a speed limit more than 5 mph. Yup, this is BS, it allows over 30% over the limit so this basically makes the speed limit to be 35 mph, not 25mph.